It’s no secret that SEO is an industry that is ever-changing. What is shocking is how many people don’t evolve their tactics to match the evolution of the search engines. You must focus on getting out of the “old” ways of thinking and evolve in order for long-term success. 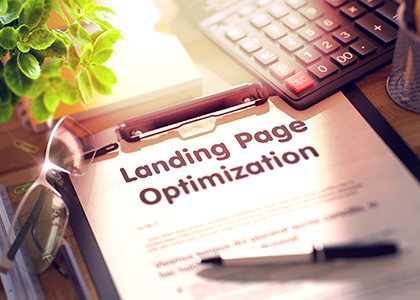 In the past, the goal was to focus on keywords and gaining rank on the SERP’s. 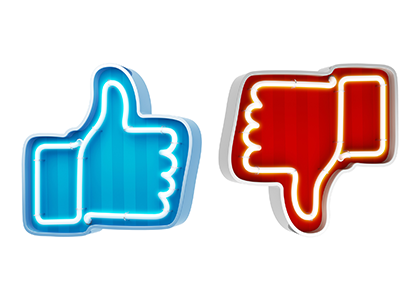 Today, you should be focused on your brand’s reputation. How do people engage with your company? Focusing on the quality of your products or services. If our focus is on these things, you will see an increase in rankings from sharing and natural links throughout the web. Simply put, we want to help you focus on how your company is perceived, not on how it’s ranking. Make no mistake, the goal is to be able to show up when people search for you, but there are so many other factors involved than just your “ranking”. Results in the SERP’s also vary between users based on their preferences and if they are logged in, what device they are on, etc. That said, you can use our tool below to get a sense of all the different things that may be hindering you from showing up when your target audience is looking for you. What’s Your SEO Score? Use our free tool to find out. Search engines can’t index your website correctly if your pages contain errors and visitors will leave your website when they encounter errors. 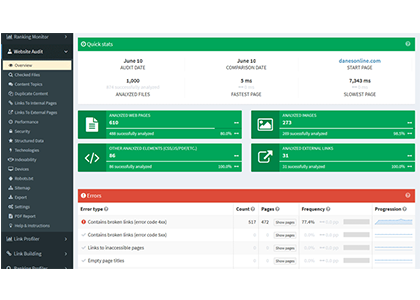 A website audit report makes sure that the search engines can index all of the pages on your website correctly. If you remove all errors from your website architecture, you will ensure your web pages can get the best possible rankings that they can get and keep visitors on your site. Good content is anything that adds value to your readers life. Having a strategy for optimizing your content is key not only for maintaining the health of your website, but also for keeping your efforts reactive to changes in your audience over time. To accomplish this, it is helpful to think about your content marketing as a sampling of your larger acquisition funnel. Traditional marketing is becoming less effective by the minute and as progressive marketers, we have to find a better way. 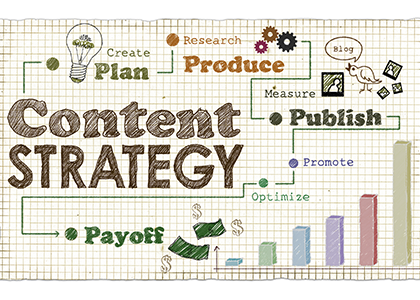 Useful content should be at the core of all of our marketing efforts. Instead of constantly promoting our products or services, we have to find a way to provide truly useful and relevant content to our consumers to help them solve their issues. 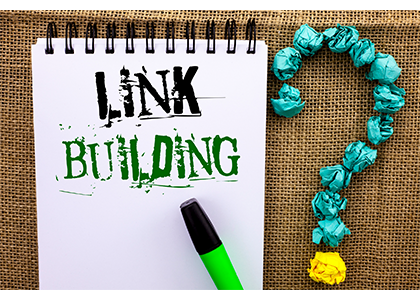 Link building has always been something that marketers knew was supposed to follow white hat rules, but that advice is often ignored. Today, links must be earned. It’s more important to work on building relationships with authoritative and relevant sources. It’s not easy to find reputable websites that are willing to link to your site, so it’s important that you do the proper research to find relevant websites that are influential and are willing to link to you. No one can say for sure exactly how much of a factor social activity is in determining where your website ranks, however, there’s no denying that it’s a relevant factor. 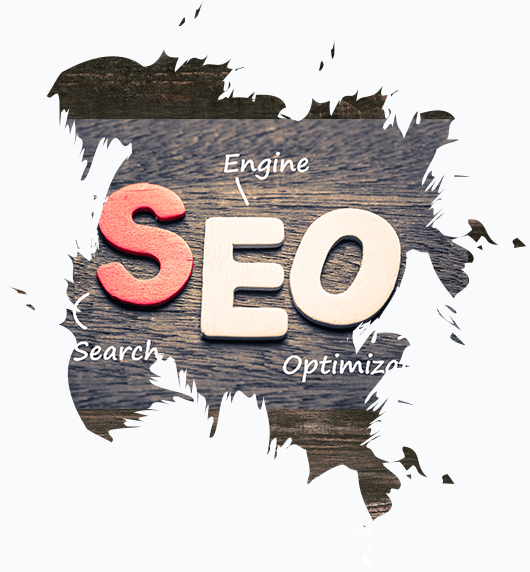 The importance of social SEO has been steadily increasing and is highly likely to continue increasing in importance too. Social media is built for mass sharing and all of that sharing adds up to more visibility for your content and your website. Video can be a powerful tool for enhancing your online presence, especially if you take the right steps to optimize your content. There are three important questions of video SEO that you should ask. How can video enhance your websites overall ranking? How do you create metadata for your videos? 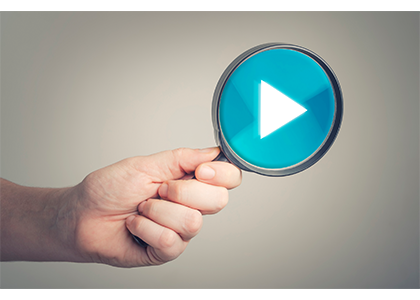 How do you tag your videos with your metadata to enhance your online visibility?